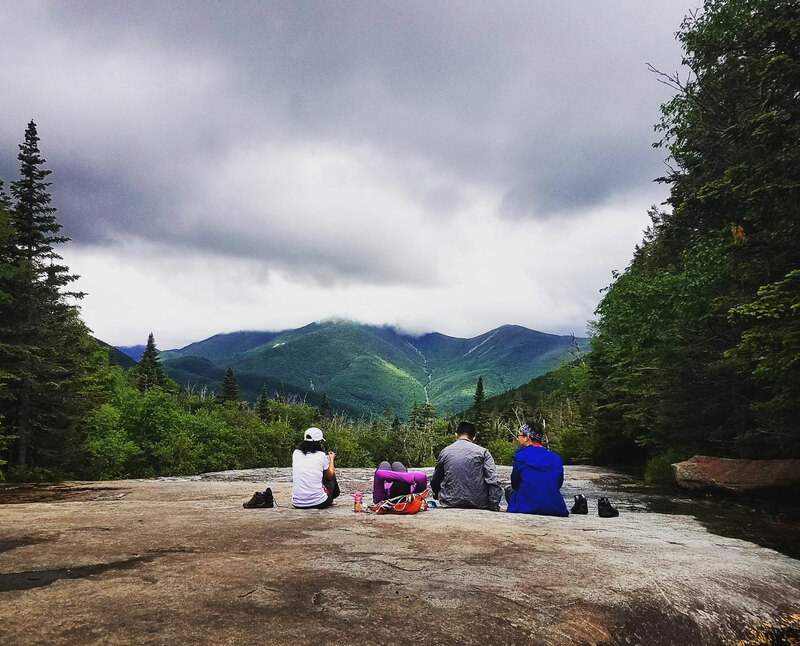 Towering over New York State at a cloud-splitting 5,344 feet, Mount Marcy is a breathtaking Northeast peak and an iconic wilderness hike. 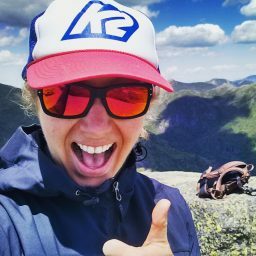 Climbing Mount Marcy is a rite of passage for many area hikers, whether it’s a personal goal on its own or a small piece of the pursuit to become an Adirondack 46er. Beginning from the High Peaks Information Center (HPIC) at the serene Heart Lake, this moderate, 14.5-mile hike passes scenic areas, like the old Marcy Dam and Indian Falls, before climbing for a half-mile on the windswept, rocky slope above treeline to a summit with spectacular 360-degree views of the surrounding Adirondack landscape and adjacent mountains. 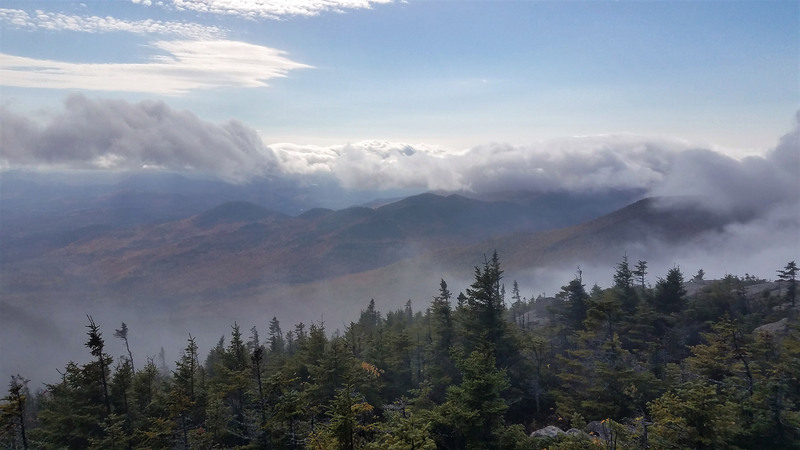 Mount Marcy is a special place in the High Peaks Wilderness, more than five miles away from any road and a mile into the sky and reachable only by those on foot, thus making it a worthwhile journey into a wilderness as deep as you can find anywhere in the region. Parking and the trailhead are located at the High Peaks Information Center (HPIC) at Heart Lake, about 15 minutes south of Lake Placid. From the south (Albany or New York City), take I-87 north to Exit 30 and head west (left) on Route 73 towards Lake Placid for 26.5 miles, where you’ll take a left onto Adirondack Loj Road. The road is winding and becomes unpaved, however; you’ll reach the ticket booth after 4.8 miles. From the north (Plattsburgh or Montreal), take I-87 south to Exit 34 and head west (left) on Route 9N towards Lake Placid for 26 miles, where you will bear right (west) on Route 73. After approximately 11 miles on Route 73, take a left onto Adirondack Loj Road. 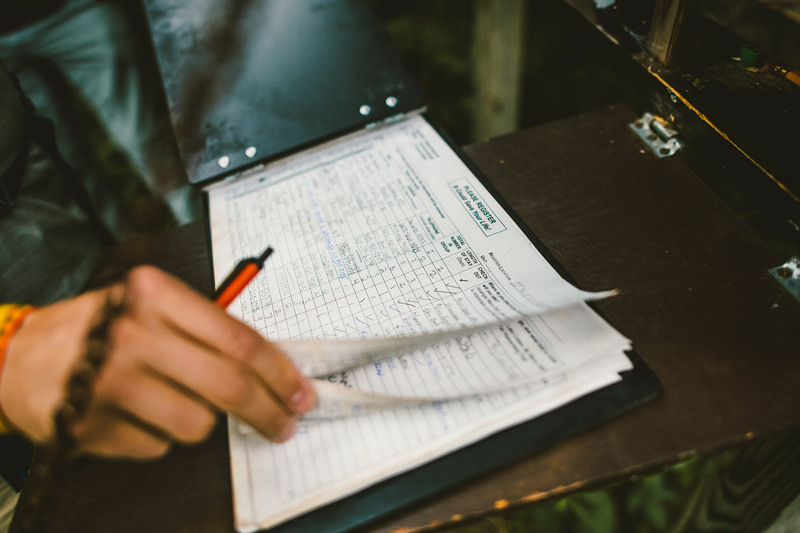 Begin by signing in at the trail register, located at the end of the parking area opposite the HPIC (44.18296, -73.96251). The trail is marked by blue discs, which you will follow the entire way to the summit. Almost immediately, you’ll encounter one of the various ski trail intersections. These are denoted by numbers, and by the well-worn path and markers, it is fairly obvious which is the main foot trail. At one mile from the trailhead, you will come to a signed intersection that leads toward the MacIntyre Range. Stay left on the blue trail, and climb gently towards Marcy. At 2.3 miles, you’ll emerge from the woods at the old Marcy Dam (44.15884, -73.95165). Here, stay left, and walk a short ways to the bridge to cross Marcy Brook. Marcy Dam previously impounded the brook, but Hurricane Irene damaged the wooden structure in 2011, and as a result, it’s in the process of being removed. 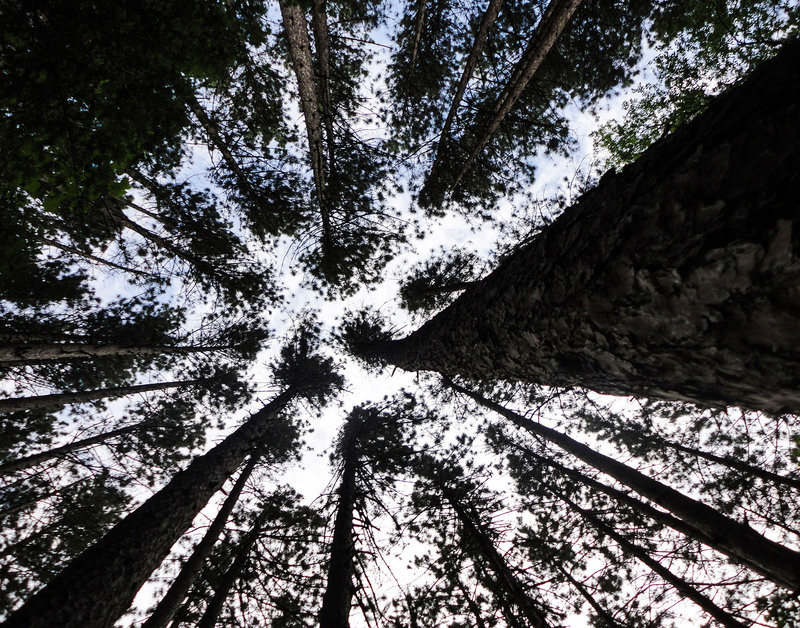 Nonetheless, many hikers still refer to the crossroads and large opening in the trees where a small pond once sat as Marcy Dam. Upon crossing, turn right back towards the dam. Here, you’ll have your first peek at the MacIntyre Range and find a second register, which you should also sign (44.15866, -73.95094). Near the trail register, you’ll notice various paths leading to privies and designated campsites surrounding Marcy Dam, which are occupied on a first-come, first-serve basis. Bear left, following signage for the blue trail, and you’ll quickly reach an intersection at 2.4 miles. 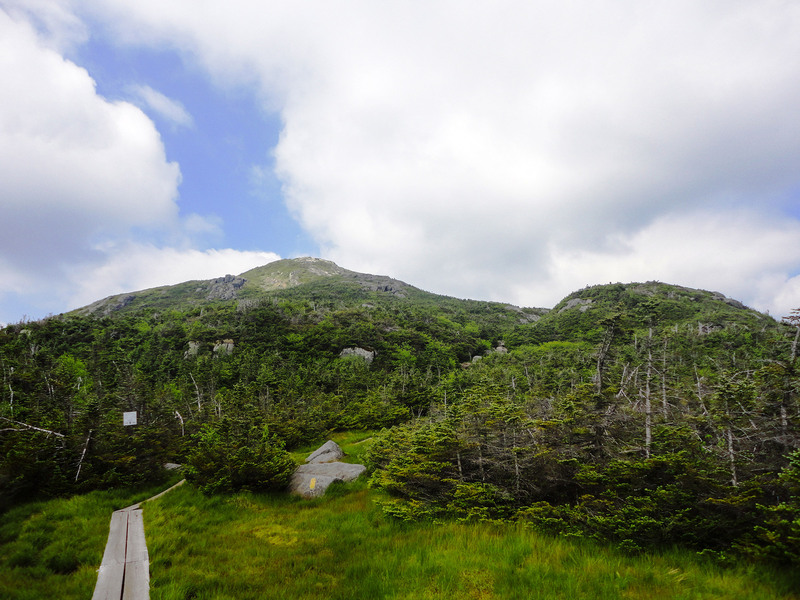 Bear left again, heading towards Marcy, and the terrain will become more rugged as the trail parallels Phelps Brook and begins to gain elevation more dramatically. You’ll reach a high-water bridge at 2.6 miles (44.15719, -73.9474), where you will have the option to cross the brook now or continue about 500 feet farther upstream for a more natural water crossing via rock hopping (44.15616, -73.94622). 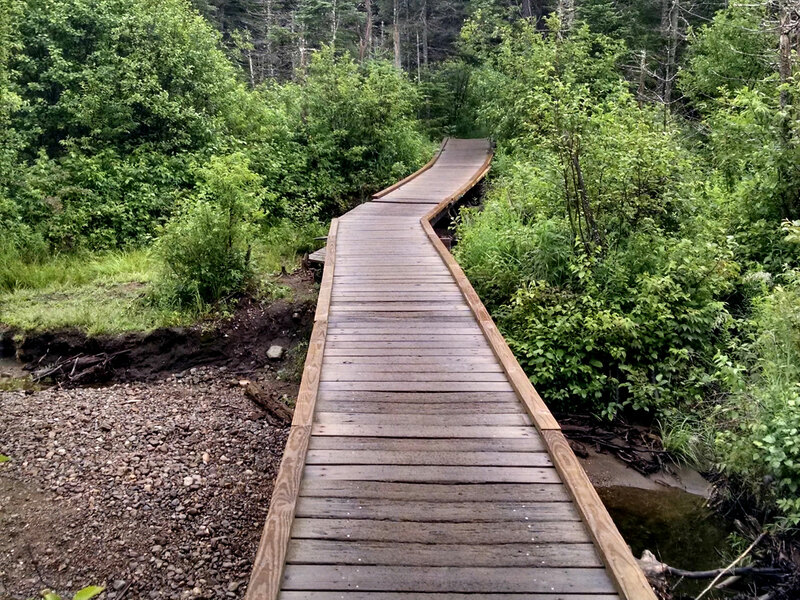 If it’s early in the spring, if it’s been raining lately, or if you’re unsure about the water level, use the bridge, as it’s better to stay safe and dry this early in the hike. After some more uphill trekking, you’ll come to the intersection with the trail to Phelps Mountain (44.1516, -73.93561) at mile 3.3, a worthy day hike on its own. Shortly after passing the turnoff to Phelps Mountain, the trail crosses Phelps Brook for the second and last time on your ascent. After the bridge, you’ll immediately begin to climb steeply. Next, you’ll come to the Marcy ski trail at 3.7 miles, where the hiking trail turns sharply right and begins to veer away from the brook. Following the blue trail markers uphill, you’ll eventually encounter the herd path to Tabletop Mountain at mile 4.4—the peak is commonly paired with Phelps for a full day. Just past this intersection, you’ll cross a stream and reach the spur for Indian Falls at 4.5 miles (44.14051, -73.92827). Less than a minute from the main trail, the falls are a favorite spot for hikers to rest and soak their weary feet while taking in a picturesque view of the MacIntyre Range. Just beyond the spur to the falls is the intersection with the Lake Arnold Crossover Trail. Bear left, following the signs towards Mount Marcy and the blue trail markers. From here, you will enjoy a relatively flat walk before beginning to steadily climb again. The terrain begins to become rockier as you near 4,000 feet above sea level. At 6.1 miles, you’ll reach the intersection with the Hopkins Trail, where the last pit toilet is available before you reach the summit. Stay right, following the signs and blue discs towards Marcy. After more steady climbing, you’ll reach the intersection with the Phelps Trail (44.11561, -73.91551)—not to be confused with the Phelps Mountain Trail, which you passed earlier. 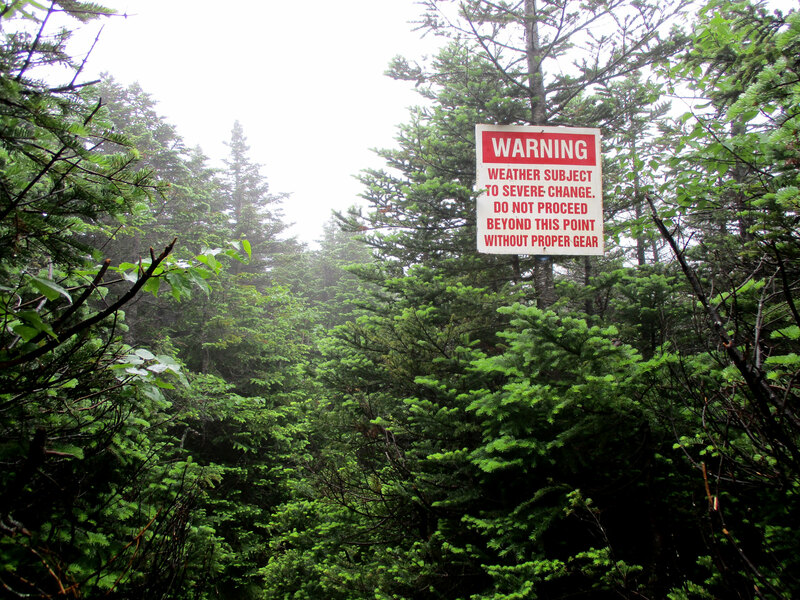 You may not notice the sign at this intersection, however, as it’s behind you, facing hikers as they descend from Marcy. There is no sign for ascending hikers, but you should still bear hikers’ right. Past the intersection, the trail will quickly climb above the treeline, so now is a good time to add a layer, secure your pack, and fuel up for the last leg. From the Phelps Trail, switch to following the yellow blazes painted onto the rocks to stay on the trail. The blazes help you follow the trail immediately in front, and large cairns (rock piles) indicate the overall direction in which you are headed. These are especially helpful on cloudy days, which are frequent on Marcy due to its elevation. Take care to stay on the trail and avoid damaging sensitive alpine vegetation, as marked by twine and rocks. In good weather, you will be treated to outstanding views, as you make the final push to the summit. Spruce trees stunted from harsh weather give way to gleaming rock slabs dotted with lichens. 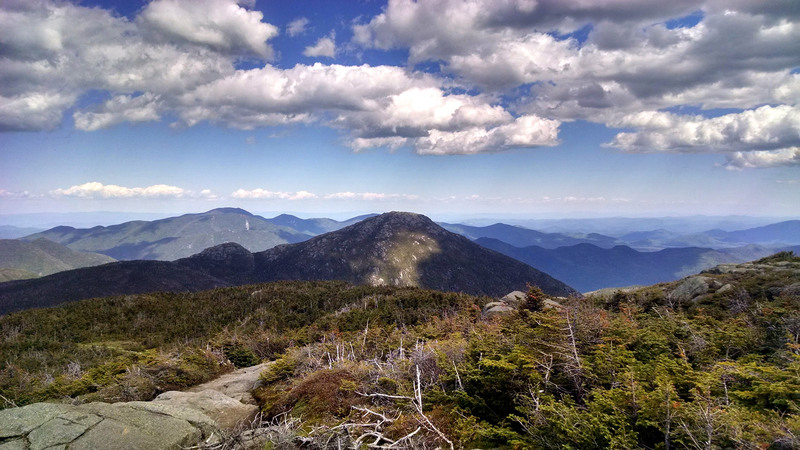 Massive rock outcroppings, towering cairns, and the adjacent High Peak summits and rock slides elicit feelings of awe and respect for Marcy and the Adirondacks. 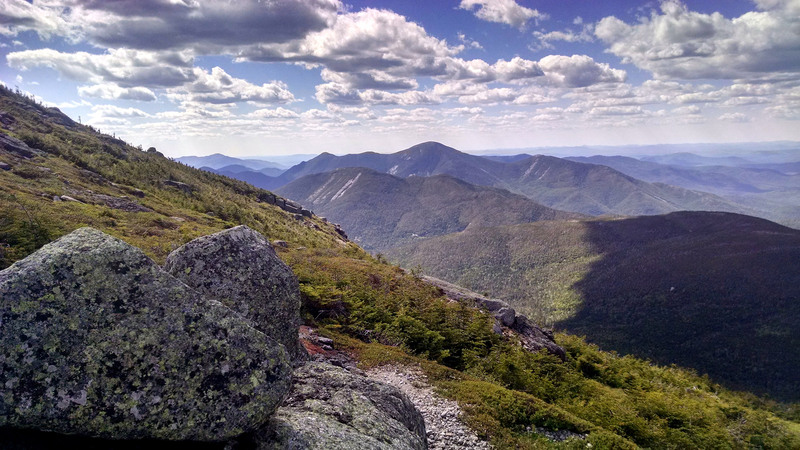 To the right (west) is Mount Colden and the MacIntyre range, and to the left (east) is Mount Haystack. 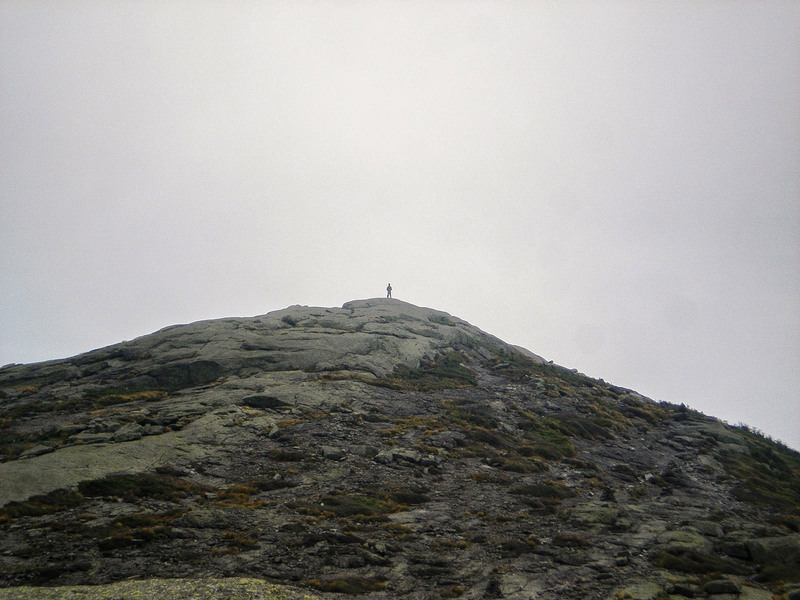 As you crest the summit, you’ll see Mount Skylight ahead of you. Behind you, views of Basin and Saddleback Mountains introduce the rest of the Great Range. With one last scramble, you’ll hoist yourself onto the summit rock, and be sitting on top of the world—or at least New York State! On most days, the summit steward there educates hikers on the alpine vegetation and helps with general questions. The LifeStraw Water Filter is a lightweight and economical way to filter backcountry water in a pinch. The filter is good for up 1,000 liters and removes over 99.9 percent of waterborne protozoan parasites and bacteria. Use it in one of the brooks along the trek, but remember, Indian Falls is the last water source between the Loj and the summit. Always carry a headlamp and extra batteries in your pack. It can make the difference between an easy walk out and being forced to spend an unplanned night in the woods. Try Petzl’s Actik headlamp, which delivers 300 lumens and offers both white light for visibility and red light for night vision. A lightweight jacket to keep the wind at bay is an absolute must-have and the key to enjoying the summit. Don the Techwick Active Hybrid Wind Jacket for superior breeze protection, with better moisture control than a standard rain jacket. 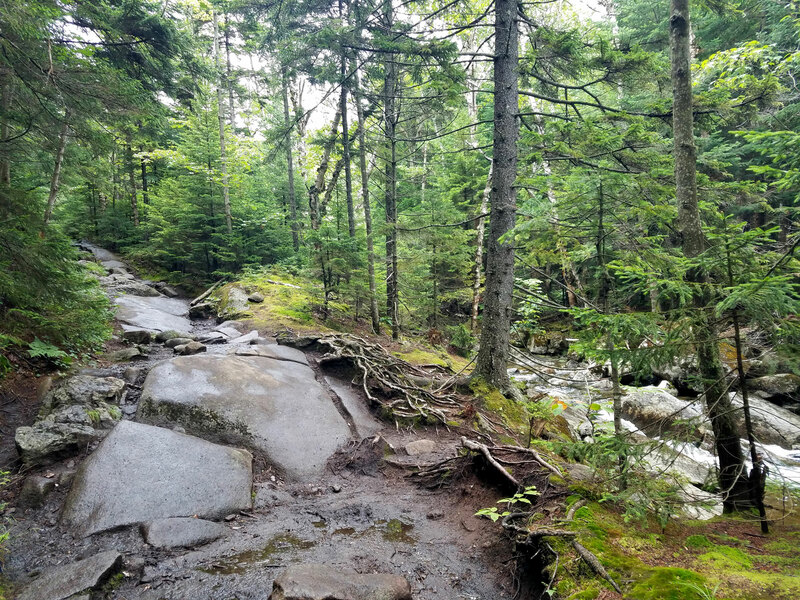 The hike along Phelps Brook comes with pretty scenery and soothing sounds but typically also includes a wet trail. So, pack the Spindrift Gaiters to keep water, mud, and snow out of your boots. 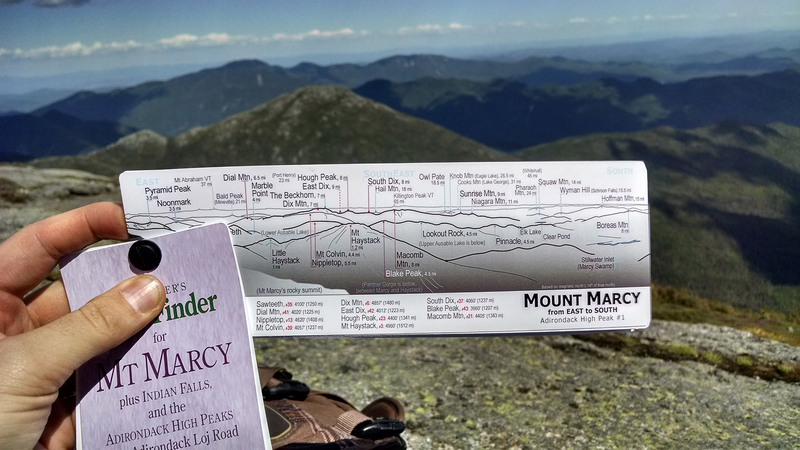 Thatcher’s Mount Marcy Peak Finder is a fun tool to interpret the view from the summit and identify the adjacent mountains. It’s light, weather resistant, highly accurate, and very easy to use. 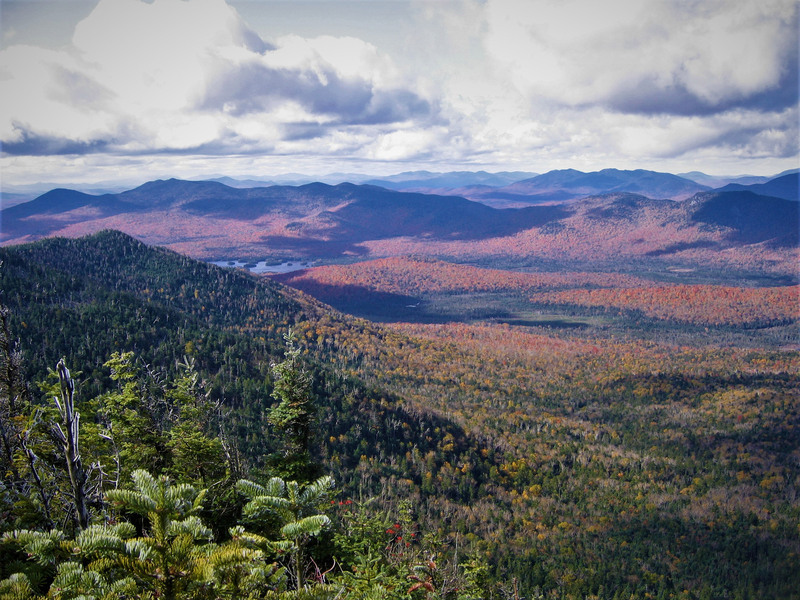 Pick up the Adirondack Mountain Club’s High Peaks topographical map. It shows all trails, campsites, and recreational features and offers relevant information on wildlife history, geology and archaeology. Check the weather. The last half-mile up is exposed and can feature conditions more severe than what’s happening in the parking lot or woods. Pack some warmer clothes for the summit, where it’s often cooler. Even on the most beautifully sunny day in June, I’ve been thankful for my jacket and hat. 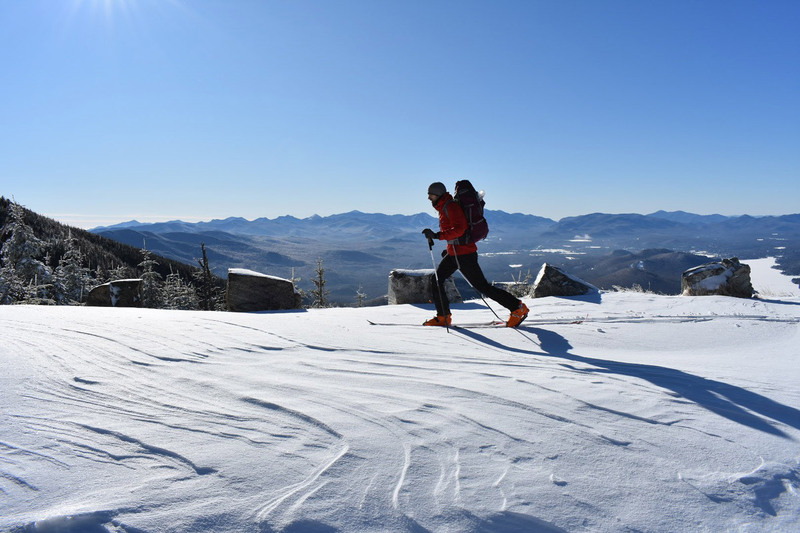 Keep up on the latest trail conditions at the DEC’s Backcountry Information for the High Peaks Region webpage, which is updated weekly. Hikers may use the various designated camping sites near Marcy Dam and along the Van Ho trail, although they are first-come, first-served and fill up quickly. 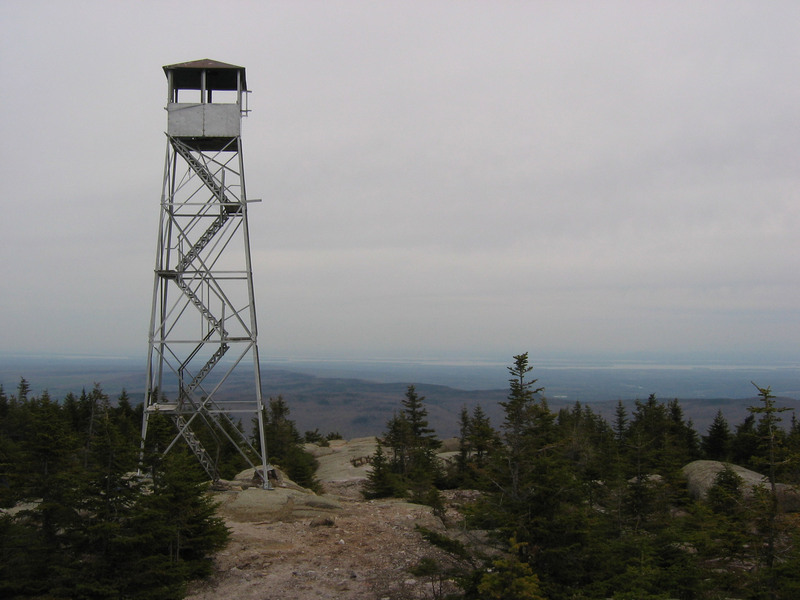 Aside from within the marked sites, campers can camp anywhere that is at least 150 feet from a water body, road, or trail, and below 3,500 feet in elevation, unless the area is posted as “Camping Prohibited.” Bear-resistant canisters are required in the eastern Adirondacks, which include the Mount Marcy area. Lodging is also available at the Adirondak Loj on Heart Lake, in the form of private rooms, bunks, campsites, and lean-tos (all must be reserved). Meals are included, and kayak and paddleboard rentals are available. When adding side trips, like Phelps or Tabletop Mountain, it’s best to attempt them on the way back. This will ensure you have enough time and energy for the day’s main prize—Marcy. For strong, experienced hikers looking for a unique way up and a chance to bag other remote High Peaks, consider doing this trek as a long loop hike with Gray Peak and Mount Skylight. Or, opt to hike up in the dark, and watch the sunrise from the summit. Filling a growler at the Adirondack Pub and Brewery, or noshing on some of Noon Mark Diner’s famous pie and milkshakes is a great way to treat yourself after your hike. 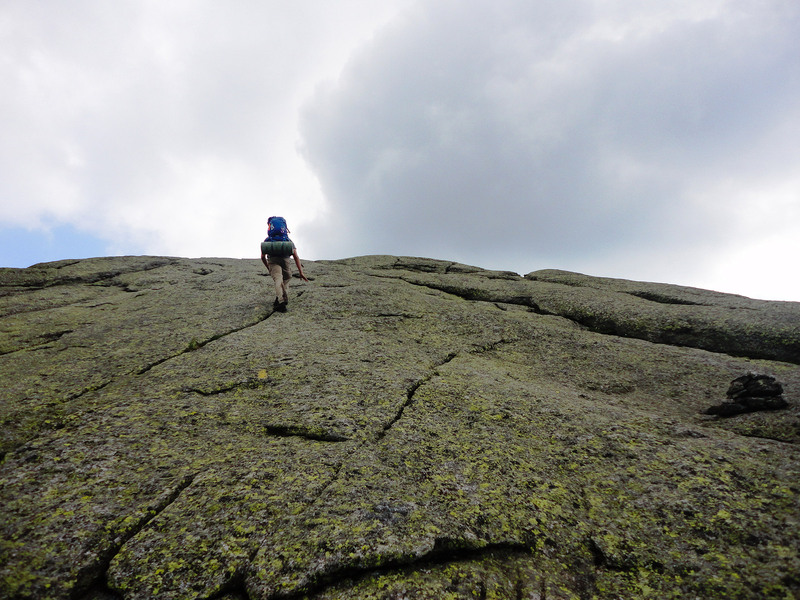 Have you been up Mount Marcy recently? Post your experience and the trail conditions (with the date of your hike) in the comments for others!